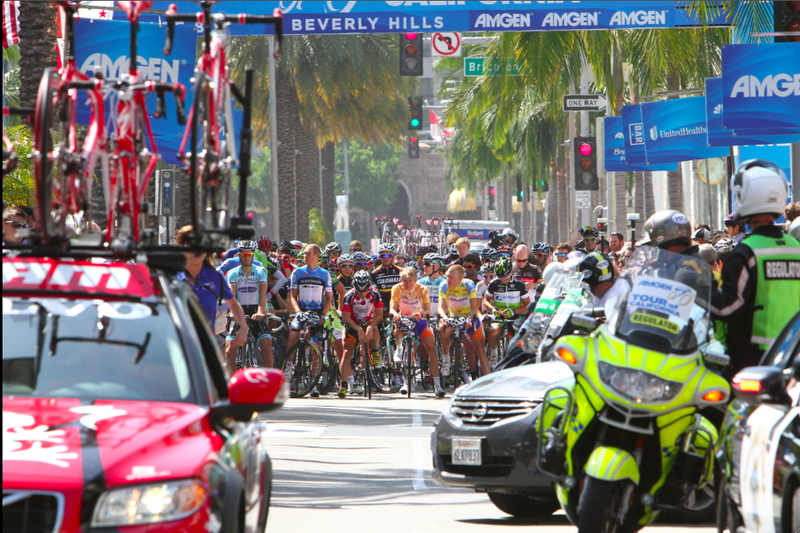 I just came across this image taken by Willie Reichenstein who was a photographer at the 2012 Amgen Tour of California for Pedal Dancer®. I love when a photograph takes up the entire space, corner to corner. 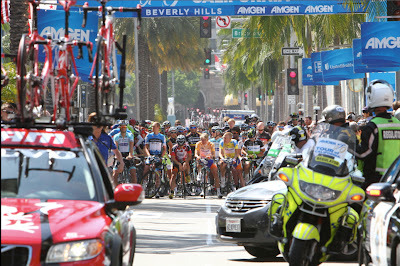 This is a wonderful image of the start line in Beverly Hills on a beautiful day in May.